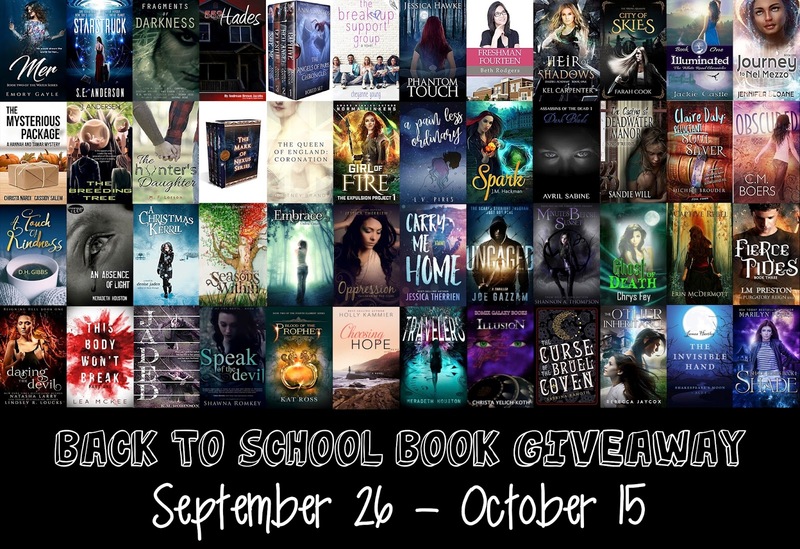 Write with Fey: Helping My Mom Publish + #BooksAndSpooks17 + MASSIVE GIVEAWAY! Helping My Mom Publish + #BooksAndSpooks17 + MASSIVE GIVEAWAY! My mom lives with me. Earlier this year, she had a nasty fall, though thankfully no broken bones, and has been struggling to walk now due to bad arthritis in her knees. I help her as much as I can. And in one way I've been helping her is to self-publish. I want her to be able to see her stories in print. 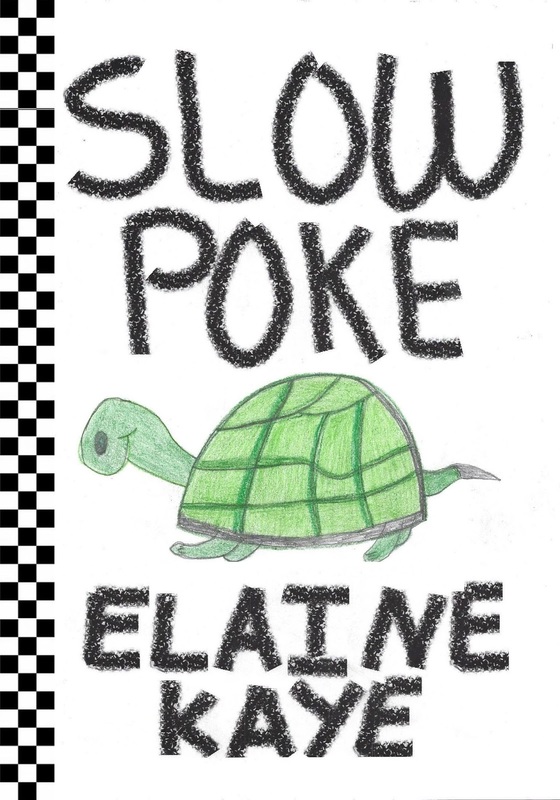 BLURB: Slow Poke is the slowest turtle. He's slow for everything. One day, a little boy needs him to be fast. Slow Poke doesn't want to disappoint Tommy, but can he be fast? Can he win a race? Elaine Kaye has given the classic story The Tortoise and the Hare a modern take with two turtles racing against each other. Slow Poke gives a sweet look into the friendship a child can have with a turtle, or any animal, and celebrates positive thinking. If you believe you can do something, you will! I love Instragram, and I love the book/author challenges that people host there. So much so that I have created my own challenge relating to books and Halloween. 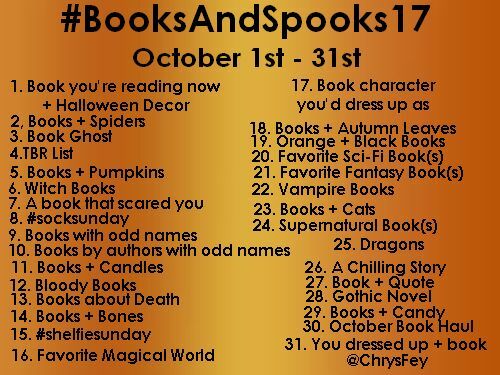 Let's have some spooky bibliophile fun! In a poll in our group, structure was voted #2 for what our members want to learn more about, and this book is a great example of story structure that works. The discussion will begin November 22nd. That is a massive giveaway. I'm glad Slow Poke is out in the world now. It was a cute story. Thank you (and Craig) for all of your work on it! Congratulations to your mom and to Jessica! Yeh for turtles, Halloween and books! 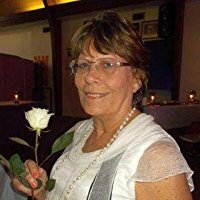 I understand that NaNo may make it tough for many to participate. No worries. Congrats to your mom. Sounds like a fun kids book indeed. One massive giveaway for sure. Congrats to your mum! Hope she has lots of success. Great pick for the book club. 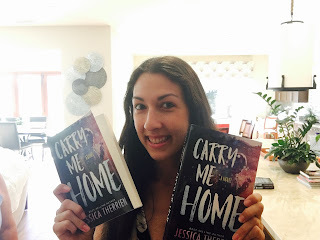 Congrats to Jessica too - that's some giveaway! 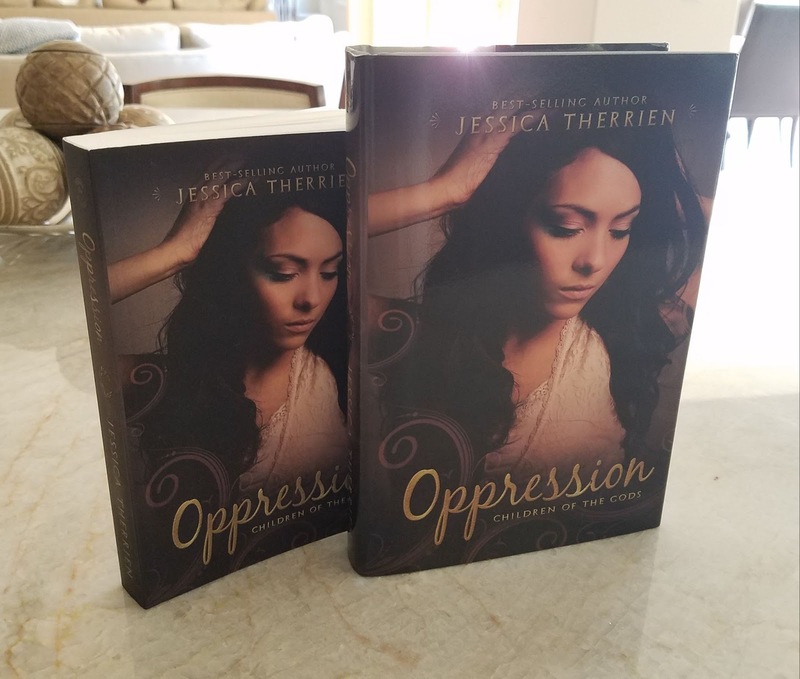 Congrats to your mom and Jessica on their releases! 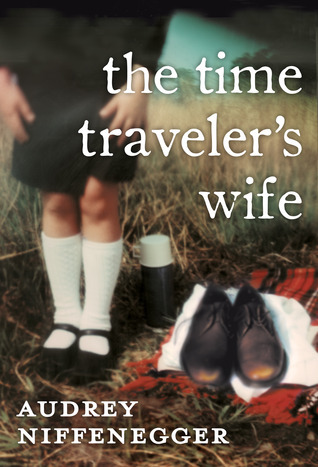 I'm not exactly a fan of The Time Traveler's Wife (to say the very least), so I'll have to sit that one out. And that's okay. But you can still contribute to the discussion later. You can tell us what you didn't like. Congrats to your mom! That's really cool to hear about everyone pulling together like that to make this happen. And, to think, writing runs in the family. We're the only ones in our family weird enough to be writers, apparently. Thank you! Yup, I'm actually the only one among my siblings who writes. I did get it from my mom. :) I don't think my nephews are interested in writing, but they enjoyed being a part of the process. What a great giveaway Chrys, I sincerely hope your mother regains her walking fully in due course. Thank you, Yvonne! She's walking a bit better. It comes and goes most days. Congrats to your mom on her book! There's a book by James Scott Bell that's about structure. Maybe you can check that one out. That's so awesome that your mom lives with you and you're helping her with her self-publishing. I admire you for having your mom live with you. Mine will probably be moving here from Florida in the Spring, but to independent living. I love the book choice. I've heard great things about it. I've added it to my library wish list to read soon. It's so cool that you're helping your mom publish her work. You're a good daughter, and I have no doubt that she is a good mom. The Time Traveler's Wife is a great book that's beautifully structured. Congratulations to your mum, Chrys! And you are so good, you made her realize her dream. Thank you for a lovely comment, Hilary. She's always enjoyed writing for children. I am so happy for your mom...how exciting!!! I love that the family was so involved! Hope your mom feels much better very soon!!! Congratulations to your mom and I'll check out the instagram challenge! 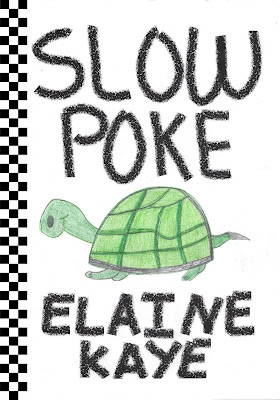 I think kids who love to read will enjoy Slow Poke. Congrats to your mom and I hope she is feeling better. The book looks so darn cute! Congratulations to your mom on her book, and to the nephews too for their help. It looks like a sweet book. I hope your mother is better. Those falls can be brutal. Wish I was on instagram. Sounds like fun. Congratulations to your Mom! 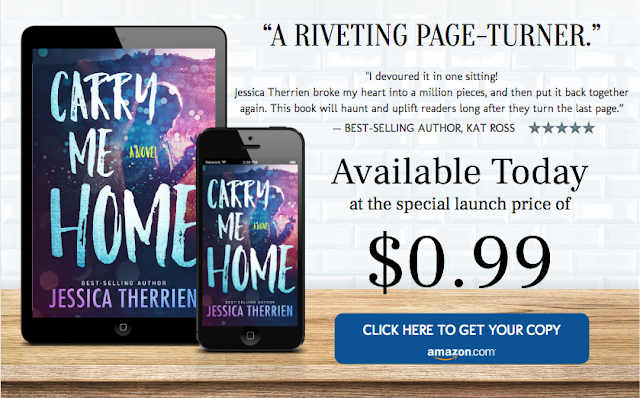 Not only is it awesome to have her book out in the world, but putting it all together is such a wonderful memory for the two of you to have with each other. So cool! Even better that the little guys helped out. Sounds like an awesome story. Thank, Julie! I'll be helping her to publish more. The next one we plan to come out in February so I can do a little more with it. Congratulations to your mom! It's such a cute turtle on the cover. And what a great giveaway! My oldest nephew did the turtle on the cover. He did really good. Congrats on your mom's picture the book! The family that writes and illustrates together, stays together. Keeping my fingers crossed on the giveaway. Usually participate on books and writing hashtags games on Twitter. Never on Instagram. Might give this one a try. I have a lot of fun on Instagram. Congrats to your mom and Jessica!! How wonderful of you to bring such awareness to your mum's book. Your mom's book is too cute. I love the cover. Aww! I love how your family came together to help your mom publish such a cute book. I'm excited about the next IWSG Book Club book, just hope I remember to read it. It was a lot of fun having everyone help out. I am halfway through the IWSG Book Club book.